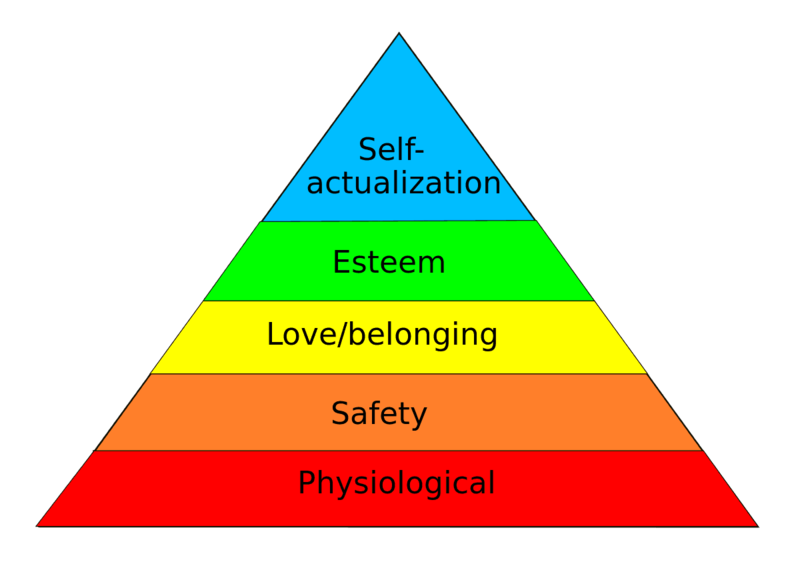 Physiological needs form the base of Maslow Pyramid—shelter, sustenance. Then come social needs, esteem needs, and if one is lucky enough to attain the peak of the pyramid, self-actualization. I had come to Halifax and the University of King’s College masters’ program in Creative Nonfiction reaching for the brass ring of self-actualization, with a dollop of esteem to come when I can attach the coveted “MFA” initials to my curriculum vitae. As social as I am, I looked forward to the residency portion of this program with great excitement. I gave not one thought to Maslow’s hierarchy of needs. Finding my dorm room in the dark wet hour before dawn plummeted me to the starting rung of Maslow’s ladder. Now, with a key to shelter ready to hand for the next two weeks, it was time to assure access to food. Halifax was surprisingly slow to reveal its food supplies. That first Sunday I found out what the dorm breakfast would be—the same cereal containers, basket of gelatinous muffins, and bowl of fruit, set out each morning from 7 to 9. The only protein available was milk for the cereal and yoghurt cups—barely sufficient fuel for the studious. It didn’t take me long to go in search of a second breakfast, heading eastward over the crest of the hill toward the Spring Gardens area closer to Halifax’s harbor. At the coffee shop I asked where I could find a grocery store and was told there was a high-end market nearby. I walked a few more blocks, but failed to find it, so settled for a convenience store where I bought cheese sticks, bagel slices, and baby carrots—the healthiest foods I could find that I could keep in my dorm fridge. Making decisions about how to feed myself sounds so basic, and yet, being married to a chef for 30+ years, it has largely been out of my hands for most of my adult life. Every Sunday we plan our week’s menus, shop the grocery and adjust to what’s fresh and a good value, and return with an enviable market basket of healthy ingredients. We talk about food more frequently than most people—we can be in the middle of lunch and start talking about what’s for dinner—but the business of actually entering a kitchen and doing something about it has not fallen to me. I doubt anyone could be less prepared for foraging for survival in an unfamiliar place. Sunday afternoon the university president welcomed our class for an open house, billed as a “barbeque,” which we ate balancing plates on our knees. My leftover half of a bagel-egg sandwich from that second breakfast would do for supper. Monday was a Canadian holiday, and our teachers had warned us food would be hard to find. The campus pub would be open that evening especially for our benefit. But the “pub grub” turned out to be either burgers or frozen dishes that could be re-heated, like chicken pot pie. I rejected the proposition this could be my default student cafeteria. Tuesday midday, when our small mentor group was released for lunch, several classmates and I went looking for lunch on the larger Dalhousie campus that surrounds the U-Kings quadrangle. 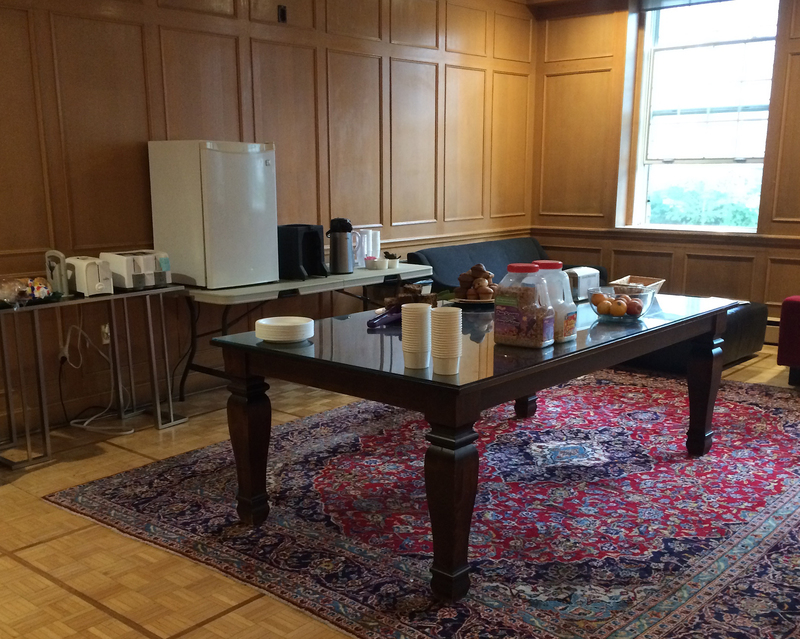 We’d been told there was a coffee shop and Subway in the library building, and more eateries in the student union just beyond. But signage was hard to come by, and by the time we found the library, we were ready to settle for its fast-food options. I ordered a chicken ceasar salad, and was handed a plastic box, plastic fork, and packet of dressing. I realized this wasn’t going to lift me past the base of Maslow’s Pyramid either. I’ve never seen a college campus that wasn’t ringed with restaurants, coffee shops, and convenience stores. But Dalhousie/U-King’s sits in the middle of a residential neighborhood. After the afternoon classes I ventured north, finding Quinpool, a shopping street with a pharmacy, liquor store, various ethnic restaurants—but no grocery. (In fact, one was located one door past the liquor store, but just like the gourmet market in the Spring Gardens area, it eluded me.) By nightfall I had a nice bottle of wine for my room, but three days into my 2-week stay, no solution to the food supply. My new normal became buying sandwiches for lunch in the campus coffee shops, and either eating saved halves for supper, soggy from the fridge, or noshing on my stash of shrink-wrapped cheese sticks, dry bagel toasts, baby carrots, and pilfered breakfast fruit. I scavenged some paper plates and plastic utensils for my dorm room, taking a kind of absurd satisfaction in my tiny batterie de cuisine. As accustomed as I am to my husband’s gourmet cuisine, I felt both pathetic and resourceful, like a refugee. 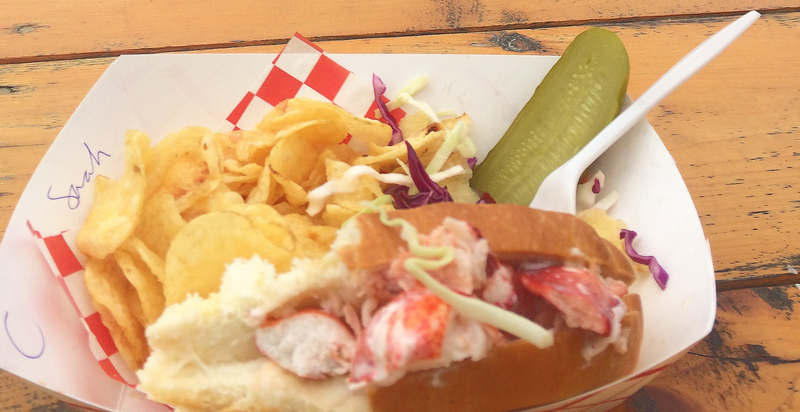 On Saturday I took a sightseeing bus from the harbor to Peggy’s Cove where I ate my first lobster roll. On the way back up the hill through Spring Gardens I finally discovered Pete’s Fresh, a grocery as high-end as Whole Foods. Finally I could upgrade my convenience-food dorm picnics. But lacking the savvy to make more inspired choices, I just up-leveled to gourmet chèvre, smoked salmon, and tortillas. I was consuming dangerously few vegetables, and my digestion was paying the price. I had been told, when I mentioned I was going to Nova Scotia, “You’ll eat so much fish you’ll get sick of it.” I was absolutely thrilled at the possibility of seafood satiety. That was not what I got. But I did make it past the base of Maslow’s pyramid. With my dorm room, food supplies, and (finally, thanks to laxatives) a return to digestive health, I could quit obsessing about the physiological basics and begin to seek fulfillment of my social needs. P.s. And then, two days before the residency concluded, my friends the Tobises arrived. I told them my food woes. Michael took out his smartphone. “Siri,” he said, “Groceries near me.” The answer had been that close, all along.